Social media is just a bit of fun, right? Are social media reviews really that important? We take a look at why they answer is a resounding yes. Every day, 63% of UK residents use social media. Social media is so popular that there's now a social media day every 30th of June. The reasons why people use social media vary. Some use it to keep up with friends and family. Others get their news from their favourite social media outlets. And, others use it for business. If you're someone using social media to increase their brand awareness and get more business, you need to know how to use it properly. One tried and true technique is to get social media reviews. While some business owners don't feel social reviews are all that important, we're sharing with you why we strongly disagree. Keep reading to learn why social media is important to all business owners. People don't do business with a company. They do business with other people. As a business owner, part of your goal is to get consumers to like and trust you. And social media is a great place for consumers to get to know and trust you. That's one of the most important reasons why social media is important. A recent research review found that 81% of respondents from both the UK and the US stated they were directly influenced by their friends' recommendations and posts on Facebook. And, 78% confirmed that they were impacted by the posts of businesses they follow as well. That's because 85% of consumers trust an online review just as much as if it was a personal referral from a friend or family member. How important is social media for businesses? Consider the fact that eight out of 10 millennials never make any purchases without first reading online reviews. And while they're the generation who does the most online research, other generations aren't too far behind with their pre-purchasing behaviours. More than 75% of people read reviews prior to making a purchase. 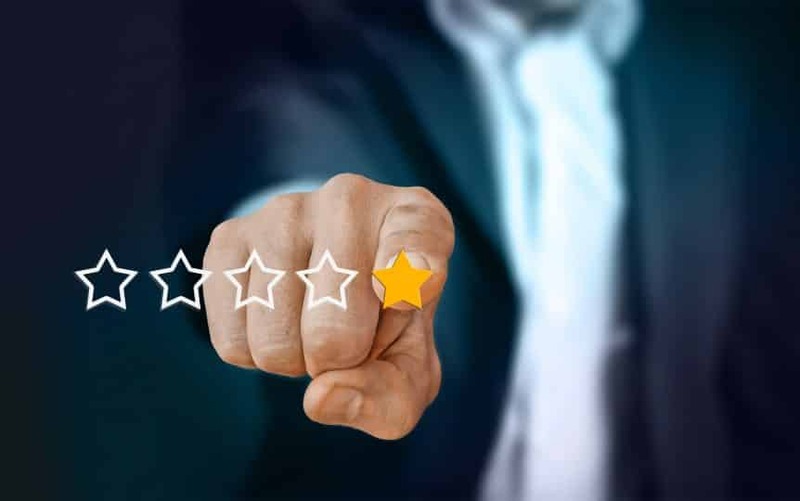 Social media reviews provide new and existing customers with the feeling that your business is real rather than a fake site trying to steal their money. A business with no reviews, testimonials or even case studies means potential customers need to take a huge leap of faith to do business with you. Having not only a social media profile but plenty of reviews for them to peruse helps ensure potential customers that your business is real and one worth doing business with. It's a way to grow your online presence and authority online. It's easy to see why reviews important. When someone is shopping online there is no way to try on the item before making the purchase. The ability to touch and see an item up close isn't available to them like it is in a store. Which is why reviews are necessary. Social media reviews help consumers determine whether a product or service is right for them. People buy things for all sorts of reasons. Maybe they just want the blouse and maybe they need a new lawnmower. But it helps to read reviews first because it allows consumers to get a real sense of what to expect when they make a purchase. It helps people know they're making the right decision to make a purchase. Reviews are important because they organically help your site rank higher on search engines, without you having to do any of the work. When your customers leave reviews, they unwittingly also use keywords that help other customers find your business more easily online. That's especially helpful when you're a local business. No one wants to try a restaurant without knowing what to expect first. Having plenty of positive reviews on your social media page increases the possibility of locals being much more apt to try your restaurant. And the same is true for any other type of local business. Even when a business is close by, no one wants to waste their time by heading there when they have no idea what to expect. Most businesses dread getting a negative review. And they have good reason to dread a bad review. If a business only has a few reviews and one or more of them are negative, most people will choose not to purchase anything from that business. But that doesn't mean all is lost. Consumers also want to know how you'll respond to a negative review. They even want to know how you respond to positive reviews. Responding with respect and a promise to make changes and do better can help change people's minds. And, if the negative review was honest, it's a great opportunity for a company to take the advice and make some necessary changes. Never ignore a negative review and never get into an argument with the reviewer, no matter how wrong they are. How you handle a bad review online shows your true colours. This is a chance for you to turn the other cheek and provide great customer service so you prove to your online audience you're a company worth checking out. Whether you're a small business and you're the only employee or you run a company with 300 employees, it's important to focus on your brand. There are billions of websites out there. And even if they're not all your direct competition, it's becoming increasingly difficult to get in front of your target audience. There's so much advertising out there that most consumers turn a blind eye to all the noise unless there's something special or noteworthy about the message. Social reviews help build your brand. Your target market who is already commenting on your product or service can help you figure out exactly how and why you're different from your competition. And that difference is why people are buying from you. It's not enough to just set up a social media profile and then wait for social media reviews to start popping up. Some customers won't trust you until you have multiple reviews for them to read. Others don't care about the numbers but instead care if the review reads as authentic. Quality is just as important as quantity when it comes to reviews. We can help. Our methods work to help you get great reviews from your customers which in turn leads to an increase in sales. Click here to learn how to get started.